Goal: 10 points. 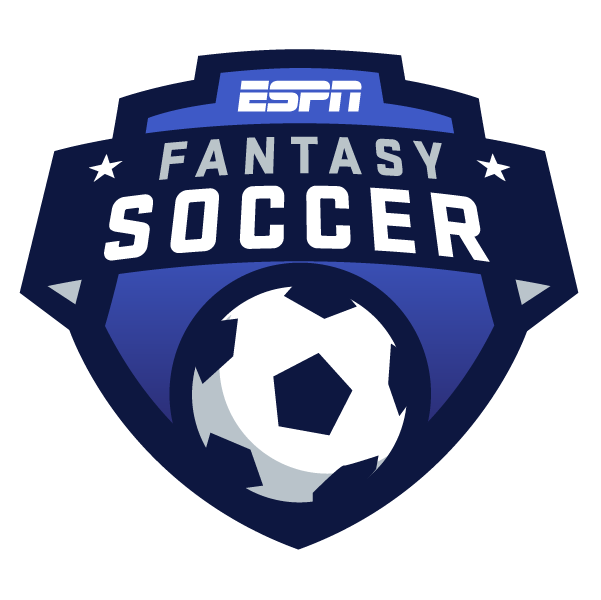 At the end of the day, it's all about putting the ball in the back of the net, so goals are naturally the most valuable commodity in our fantasy game. Assist: 5 points. The next best thing to a goal is a pass that leads to a goal. Shot on goal: 2 points. You can't score if you don't shoot, but not all shots are created equal. Shots on target -- that either result in a goal, or a save by the goalkeeper -- are worth a lot more in our game. Chance created: 1 point. A chance created is a pass that leads to a shot. Appearance: 1 point. If a player appears in a game -- as one of his team's 11 starters, or as one of three possible substitutes -- it's worth a point. Shot off goal: 0.5 points. These shots -- ones that are not blocked, but off target -- will net you something, but not nearly as much as shots on goal. Tackle won: 0.5 points. If a player steals the ball off an opponent cleanly, that's worth half a point. Interception: 0.5 points. This category is pretty self-explanatory, and the league leaders last season had similar totals to the league leaders in tackles. Block: 0.5 points. Players who throw their legs (or other body parts) in the way of a shot are often unsung heroes, but they'll be rewarded in our fantasy game. Clearance: 0.5 points. This is when a player boots the ball away from his own goal to eliminate the danger, and it happens much more frequently than a tackle, interception or block. Completed pass: 0.1 points. You should get something for a successful pass, right? It's not much, but those totals can add up, creating some serious fantasy value. Foul: minus-1 point. A regular foul -- when the referee blows his whistle, but doesn't issue a card -- will dock you one point. Yellow card: minus-2 points. The damage increases when the referee does show you a card. Red card: minus-5 points. It's much worse when you're shown a straight red card, but you won't see that very often. Penalty kick miss: minus-5 points. It's equally bad when you don't deliver from the penalty spot, but this doesn't happen much, either. Clean sheet: 10 points. A goalkeeper should be richly rewarded for not giving up any goals in a game, right? One goal only: 3 points. As nice as clean sheets are, they're relatively hard to come by. So we're rewarding goalkeepers who limit the damage to one goal as well. Save: 3 points. You'll see different names at the top of this list, because bad teams tend to give up more shots on goal. Penalty kick save: 10 points. The other side of the penalty kick miss above, we reward a keeper who makes a big stop on a spot kick. Cross claim: 1 point. Goalkeepers do more than just make saves. If a high ball comes into the box and the keeper grabs it, you'll be rewarded. Cross punch: 1 point. If the goalkeeper punches a cross clear, that's good, too. Smother: 1 point. A player is dribbling toward goal, the ball is loose and the goalkeeper pounces on it ... we like that as well. But these are not very common and can just be considered similar to the cross claims and punches as a way to reward proactive goalkeeping. Misplay: minus-2 points. These are pretty infrequent, but can be costly when your keeper does have a recognized error. Goal against: minus-5 points. Pretty simple, eh? Don't pick goalkeepers on bad teams likely to give up a lot of goals. Note: Yellow and red cards also count against goalkeepers, so be careful!